Do you have the qualities of a digital champion? We’re always looking for digital champions to be leaders in their local area, to share the latest news on broadband and to bring internet skills to online early learners as well as budding silver surfers. You might be able to provide support and encouragement to friends, family, neighbours and communities through one-to-one mentoring, drop-in sessions and innovative workshops. You can build confidence, make friends and most importantly share your knowledge of online tools that could help your community work and grow more efficiently. One of our digital champions, Simon Wilkinson-Blake hosted Superfast Leicestershire’s first digital party in June 2016. Read his story about being a digital champion here. Digital champions are an important part of making Superfast Leicestershire a success for the whole community. With so many services such as banking, health care, shopping being offered online it is important to keep up with the pace of technology, not to mention keeping in touch with family and friends. But not everyone has the confidence, knowledge or equipment to use the internet to access them. make a real difference to the lives of people who might not be able to use technology or the internet without your help. If you have never volunteered before, then becoming a Digital Champion will be an enjoyable, well supported experience. You can offer as much, or as little of your time as you wish, for as long as you want. Here are some handy links to external web resources that you may find helpful. This site is built especially for the digital champion role. It is a site for everyone helping the UK to get online. 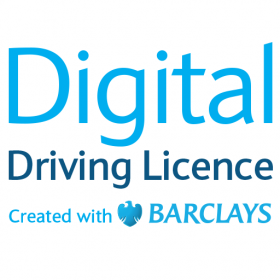 Your work in Leicestershire fits perfectly into what digitalskills.com is setup for. We would recommend this site as one of the first ports of call for the champion and the learner. Learn My Way have great free online courses and sessions which are tailored to the need of the specific user. It’s easy to use and covers all aspects from absolute beginners to using computers to online shopping and banking. Digital Unite has been delivering digital skills training and development since 1996, they provide high quality online digital learning content based on people’s learning experiences. Digital Unite helps many people have their first taste of technology and develop skills on computers and other electronic devices. This is for those who are a little more skilled online and on the computer…You are able to make a game, for example, on an iPhone and share it with you friends on Facebook so they can play it too. People who want to know more about how to utilise their new found skills or try something new and different on their device, Code is a good place to direct them. This website is all about helping people make the most of later life in numerous ways, including money saving, home and care, health and wellbeing, work and learning, travel and lifestyle and raising money.